What is a color? The perception we have of a reflection of light on a surface. What is black, as perceived by human eye? It is the opposite of color. Black is an achromatic color, literally a color without hue. Black is a surface that reflects or emits only very low light and that absorbs most of the visible light. What is pitch black, in its purest form? It is the complete absence or complete absorption of light. True black doesn’t really exist (except in the instance of a black hole) and what we describe as black is usually dark grey, dark blue, dark red, etc… The fact that pure black can’t be achieved by any material hasn’t stopped people from trying though. 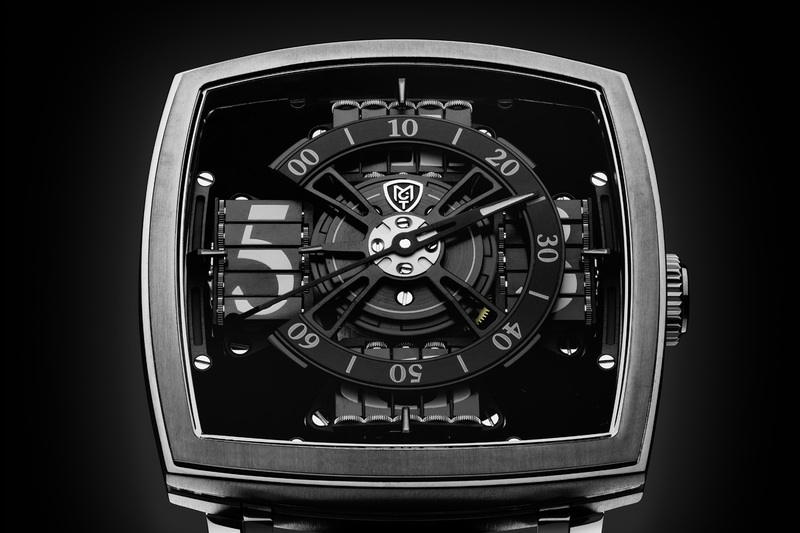 The latest example of this comes from our friends at MCT Watches who, in collaboration with artist Anish Kapoor, have created the S110 Evo Vantablack featuring the blackest material ever produced by humankind. 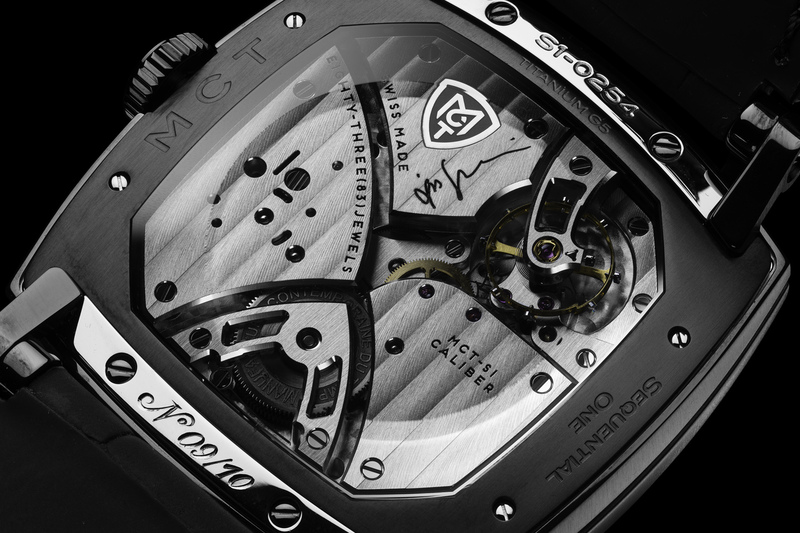 This edition of the MCT S110 Evo is based on the superb and unique watch we have already introduced to you several times before, and explained in detail here. 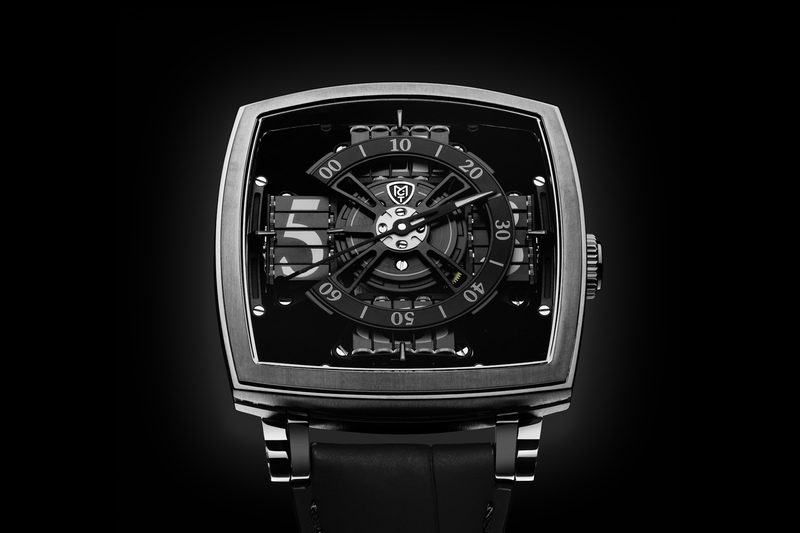 Although exceptionally complex in its construction the watch looks deceptively simple – alongside being visually striking, it is also extremely easy to read. Recap: there are four sets of five prisms, located at the classic 12, 3, 6 and 9 hour positions, to indicate the 12 different hour numerals. A minute track placed on a centrally-located three-quarter circle – 270 degrees – makes a 90 degree rotation/jump at the end of each hour, to reveal the next hour. 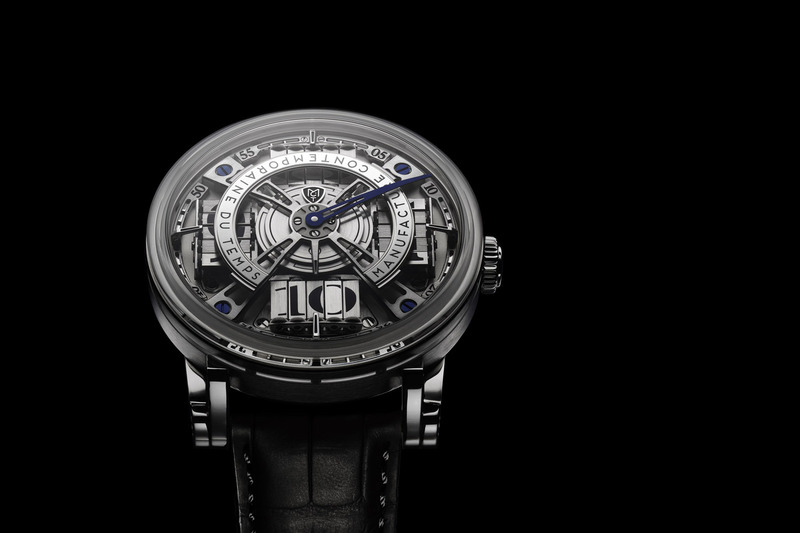 As we’ve said before, it is simply one of the most impressive displays available on the market (and knowing the productivity and creativity of “indie” watchmakers, this is saying something). All of that is powered by an in-house movement, done in full respect of traditions, with haute horlogerie features (hand-applied Geneva stripes, perlage, beveled and polished bridges, polished screw-heads…). The novelty with the MCT S110 Evo Vantablack is of course the collaboration with artist Anish Kapoor (a first for both the artist and MCT). Kapoor is well-known figure in the art world and has recently been in the news thanks to a controversial deal he did with British manufacturers NanoSystem (creators of Vantablack) that gives him the exclusive right to use this “blackest black” pigment of paint. Representing an authentic scientific revolution, Vantablack is composed of carbon nanotubes measuring one millionth of a millimeter thick each and capable of absorbing 99.965 per cent of the light they receive. As Kapoor explains, “it’s the blackest material in the universe, after a black hole; a physical object that is impossible to see”. It’s also reportedly extremely difficult to make due to its density, meaning NanoSystem can only make 2cm square bits at a time. 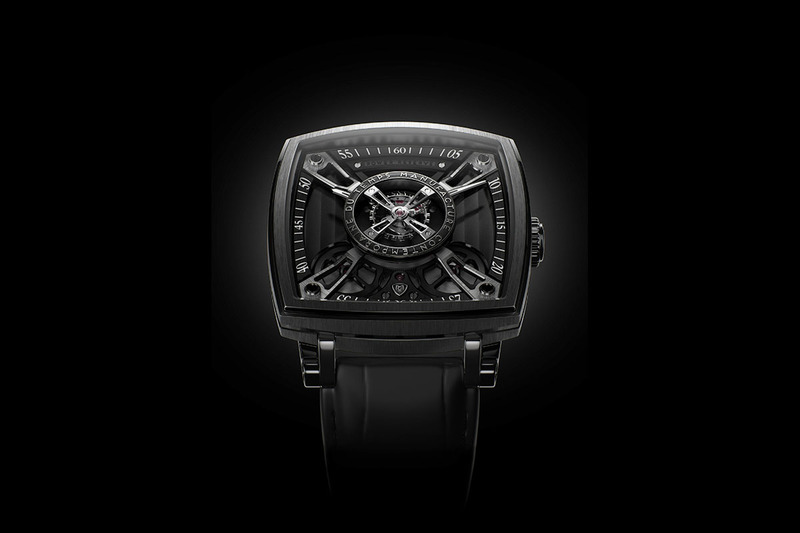 This hyper-black, almost imperceptible material is used on the back dial of the MCT S110 Evo Vantablack, as well as on one end of the minutes hand, shaped like a small moon. 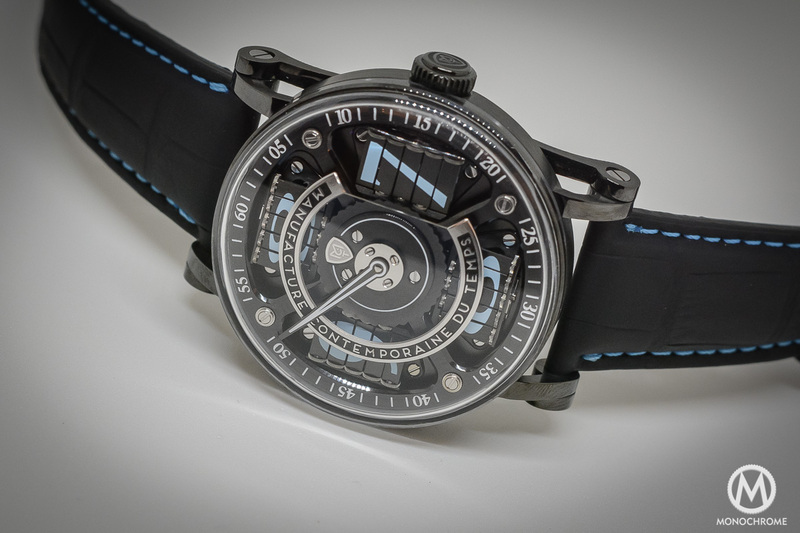 The movement appears to be suspended in mid-air, while the small moon appears and disappears as if by magic during its rotation around the dial. The case is made of black DLC-coated titanium. 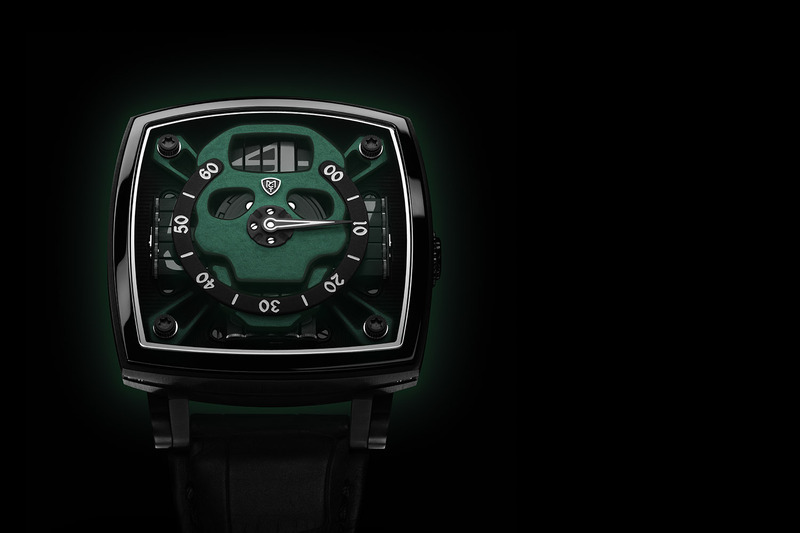 The MCT S110 Evo Vantablack by Anish Kapoor is a 10-piece limited series and each watch is signed by the artist, on the movement. 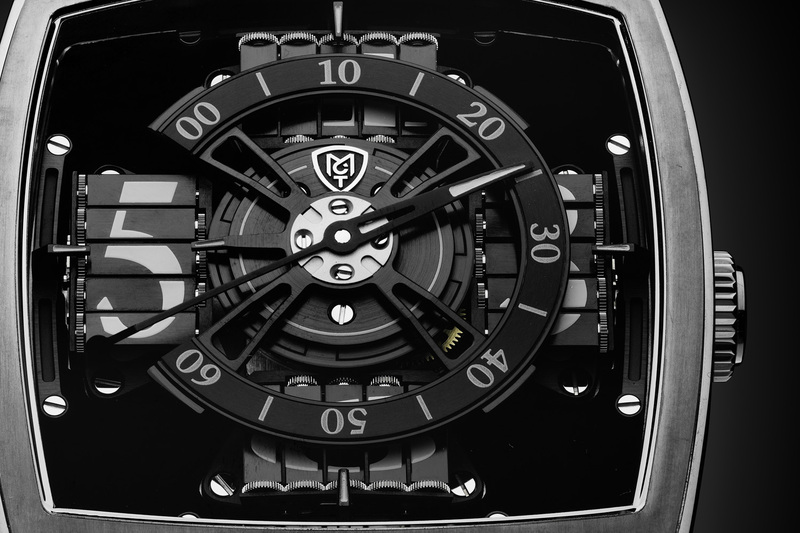 www.mctwatches.com.